The Element of Celerity is a random drop from different rare elites. The most common one is an elite leaper rare spawn named Mange in Act I: The Weeping Hollow which is a bounty — Bounty: Kill Mange. 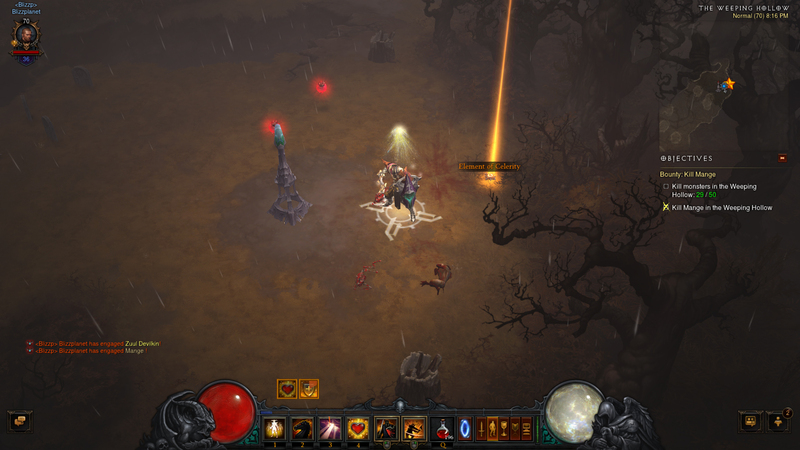 There is another bounty target in Act 1: Watch Tower Level 2. Talk to the NPC to start the Scavenged Scabbard event. You will find Armorer’s Bane in the hidden alley. It will appear as a yellow dot in the mini-map. 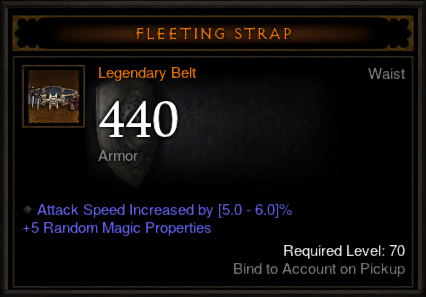 The Element of Celerity is a required crafting material to craft the Fleeting Strap (belt).